Does Calvinism Limit Christian Love? 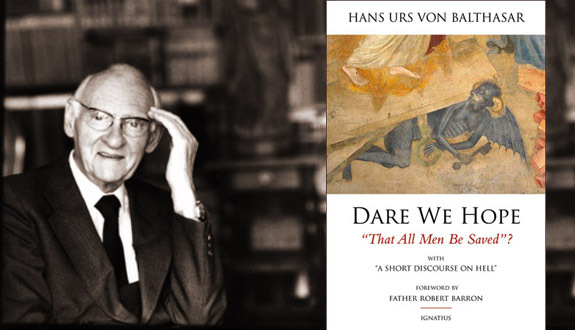 Hans Urs von Balthasar, in his controversial well-known work called, Dare we hope that all be saved?, espouses a certain type of “Christian hope” for the salvation of all men. In the first two chapters, he covers and rejects Origen’s and Barth’s absolutist universalism, saying that the certainty of all people’s salvation must be rejected. However, Balthasar does espouse a softer position, saying that a Christian can reasonably hope for all men’s salvation. Now, why can we reasonably hope for this? Essentially, what Balthasar says is that hope in and of itself demands that all men could be saved. In other words, if we hope for someone’s salvation, what we are saying is that it is at least possible. So then, universalism is at least reasonably possible. And while we can never truly know if all would be saved, we can be equally uncertain that any will be damned. If someone asks us, “Will all men be saved?” we answer in line with the Gospel: I do not know. I have no certainty whatsoever. That means just as well that I have no certainty whatsoever that all men will not be saved. The whole of Scripture is full of the proclamation of a salvation that binds all men by a Redeemer who gathers together and reconciles the whole universe. That is quite sufficient to enable us to hope for the salvation of all men without thereby coming into contradiction with the Word of God. So Balthasar cannot definitively know that any will be damned or saved. And while this may seem like a sort of agnostic universalism, what Balthasar argues is that Christian hope cannot and must not limit itself. If we are to hope that anyone would be saved, what we are implicitly saying is that their salvation is at least possible. If God wills that all men be saved, it must be possible, right? For Balthasar, hope demands this possible end. In other words, what is hoped for must at least be possible. Hope “cannot exist” if what is hoped for cannot be attained. To Balthasar, this is simply logical. So then, Balthasar concludes that universalism, while not absolutely certain, is possible. … If one believes in the twofold predestination advocated by Augustine and adheres, on the basis of that, to the certainty that a number of people will be damned, one might object that love would have to stop at this barrier. Balthasar brings in two arguments here: The first is that unconditional election flattens the universal offer of the gospel. How can Christ “draw all men” to himself if he only draws some? How can the invitation of the gospel be liberal if only some are elected? I’ve heard this argument too many times to count. However, Balthasar brings in a second argument that is novel to me. Balthasar says that if unconditional election is true, then “love would have to stop at this barrier”. Put another way, Christians are responsible to love only those who are elect. Why? Because that is who God has chosen to love. Should the Christian’s love be more liberal than God’s? So then, election restricts liberal love. If we are certain that God has not chosen some, or, if we are certain that a mass of sinners will inhabit hell, then for what reason should we love them? How should we Calvinists answer this question? At this point, it might be helpful to respond to and correct Balthasar’s first point: that election certainly cannot restrict the universal call of the gospel — rather, election limits response to the gospel. In other words, believers preach to every creature, and are sure the elect will say “yes”, but are not sure who they are! With this clarification in view, one should see how universal love plays a part. We love everyone regardless of their election; and pray for their salvation, regardless of their place in God’s salvific plan. Why? Because we don’t know who is who in God’s drama of salvation. We share the gospel, knowing that no one is beyond salvation, and knowing that God will irrevocably draw all whom he wills to himself. This is the part we play in God’s mystery plan of salvation. With that said, Balthasar’s complaint should be heard. And I’ve seen and known many Calvinists, who seem to struggle to love beyond God’s sovereign choice, which is unacceptable. It assumes a vantage point that is not our own, but only God’s. On the same note, I’ve known many Arminians who feel much of the same, even without the election bit. …And at once the prayer is on [my] lips: “God, I thank you that I am not like other men, extortioners, unjust, adulterers, or even like this tax collector” (Lk 18:11). Then one goes on to populate hell, according to one’s own taste, with all sorts of monsters: Ivan the Terrible, Stalin the Horrible, Hitler the Madman and all his cronies, which certainly results, as well, in an imposing company that one would prefer not to encounter in heaven. It can be taken as a motif running through the history of theology that, whenever one fills hell with a massa damnata of sinners, one also, through some kind of conscious or unconscious trick (perhaps cautiously, and yet reassuredly), places oneself on the other side. We might ask the great Augustine, the teacher of grace and love who has the greater portion of mankind destined to eternal hell, whether—with his hand on his heart—he ever worried, after his conversion, about his eternal salvation. How do Catholics view Protestants? My study of the Catholic faith started with a conversation I had with a fellow pastor. And one question that we both asked, and a question that all must ask, is whether Catholics can be viewed as Christian, or saved, from the Protestant scheme of things. This forced me to study their beliefs, particularly on justification and the cross. And while their beliefs are different, I accept Catholic baptism, as did John Calvin and many of the Reformers. Though we may disagree on some fundamental issues concerning the nature of salvation, what I have to affirm is that Jesus is able to save anyone, even when their theology is different from mine. But another question that remains, is whether Catholics accept Protestants as Christian. In other words, are Protestants, who follow Jesus, saved in the eyes of Catholics? One might say that their sacramentalism prohibits them from accepting Protestants are being saved. What I mean is that for Catholics, baptism is necessary for forgiveness, and confession is necessary for the forgiveness of new sins. And, the eucharist is necessary for deeper and deeper union with Jesus. Could they possibly think we are saved if we don’t understand the sacraments in this manner? Over my time reading about Catholicism, I have compiled some fascinating quotes from Catholic scholars. And here is the conclusion they draw: yes, Protestants are saved, but they are critically deformed in many matters of faith and practice. What I mean, is that while they can affirm that Protestants are saved, they cannot affirm that Protestants are healthy. Why? Because us Protestants lack many of the crucial practices of the Catholic church. Protestants are Catholics gone wrong; that is what is really meant by saying they are Christians. Sometimes they have gone very wrong; but not often have they gone right ahead with their own particular wrong. Thus a Calvinist is a Catholic obsessed with the Catholic idea of the sovereignty of God. But when he makes it mean that God wishes particular people to be damned, we may say with all restraint that he has become a rather morbid Catholic. In point of fact he is a diseased Catholic; and the disease left to itself would be death or madness. But, as a matter of fact, the disease did not last long, and is itself now practically dead. But every step he takes back towards humanity is a step back towards Catholicism. Thus a Quaker is a Catholic obsessed with the Catholic idea of gentle simplicity and truth. But when he made it mean that it is a lie to say “you” and an act of idolatry to take off your hat to a lady, it is not too much to say that whether or not he had a hat off, he certainly had a tile loose. But as a matter of fact he himself found it necessary to dispense with the eccentricity (and the hat) and to leave the straight road that would have led him to a lunatic asylum. Only every step he takes back towards common sense is a step back towards Catholicism. In so far as he was right he was a Catholic; and in so far as he was wrong he has not himself been able to remain a Protestant. To us, therefore, it is henceforth impossible to think of the Quaker as a figure at the beginning of a new Quaker history or the Calvinist as the founder of a new Calvinistic world. It is quite obvious to us that they are simply characters in our own Catholic history, only characters who caused a great deal of trouble by trying to do something that we could do better and that they did not really do at all. Now what is Chesterton saying? Whatever Protestants have right, they have it right because it is in line with Catholicism. And, whatever they have wrong, it is a disease that must be corrected. Hence, Calvinists are obsessed withs sovereignty, and Quakers with simplicity. The more Christianity splinters, the more unrecognizable becomes that Church that has persisted, through the splintering process, as the original, straight tree-trunk from which the branches emerge. The phenomenology of religion sees this tree trunk as one splinter group among others, which, in order to distinguish itself from the other Christian denominations, has to give itself a complicated title: Roman Catholic. But it is not only in phenomenology that the position becomes clouded: even theology is confused, because the branches contain much living sap from the original root-complex and trunk; thus they bear flowers and fruits that are undeniably part of the Christian totality. So we have a paradoxical situation: the Catholica finds that things that are fundamentally hers, but which she has somehow forgotten or inadequately realized, are exhibited—to her shame—by other Christian communities (Theo Drama IV, Part IV, C, 1). Some interesting points here. First, Balthasar makes the point that Catholicism is “forced” to give itself a distinct title within Christendom. Why? Because of splintering (obviously speaking of the reformation) that has come about within Christianity. His obvious point is that Catholicism is not one among others, but is forced to call itself one among others, which muddles the “fact” that Catholicism is “the church”. To me though, what is even more fascinating, is Balthasar’s reference to Catholicism as a “trunk”, or a “tree”. No doubt, he is thinking of Romans 11, where Paul calls Christianity an olive tree, where Gentiles are wild branches grafted in among natural Jews. What this means is that Balthasar sees Catholicism as that great trunk, that great foundation from which all “splintered” Christianity’s get their “sap”, or “fruit”. And Protestantism is connect only insofar as it borrows elements from Catholicism. Thus, Protestantism “takes what is hers”, and in some cases uses them better than the Catholic church, “to her shame”. So then, Protestants are saved, but only insofar as they borrow elements from Catholicism. They are saved, but “on the fringe”. Protestants are “diseased Catholics”, as Chesterton says. Now, to be fair here, I have to say that Catholics are saved, despite some erroneous (faith and works, venial/mortal sin, authority, etc) teaching on their end. And so, in a way, I would say the exact same thing! With that, we are left with opposing opinions of one another. Protestants think Catholics are legalistic or religious, and Catholics think Protestants are diseased! Perhaps one day we will be able to be more generous to one another, or even more unified. Time will tell. Hans Urs von Balthasar has an interesting aside in his Theo-Drama IV: The Action, in which he suggests that eschatology and history, rather than centering around an “apocalypse-focused” theology (i.e. dispensational / rapture theology), should be centered, even structured around the church-as-suffering-with-Christ. Balthasar suggests that the history of the church, and the church’s eschatological consummation, should be seen and structured in light of Christ’s life, death and resurrection. And what he means is that just as Christ’s life became more and more violent and ended in the cross and resurrection, so the church’s history, as Christ’s body, should be seen that way as well: growing in intensity, in violence, and consummating in a final persecution which ends in resurrection glory. In other words, as Jesus goes, so goes the church, his body. Because Christ suffered, so the church must expect to suffer. The church’s destiny within history, is to die and rise with Christ. And this church-Christ connection is how Balthasar prefers to structure history. It is a progression of the church toward her ultimate end: death and resurrection with Christ. To him, this is what the final stage of history looks like! What is interesting here, is that NT theology does seem to find a historical continuum of the church-as-suffering-with-Christ. Jesus himself says that suffering is a “norm” for the church. 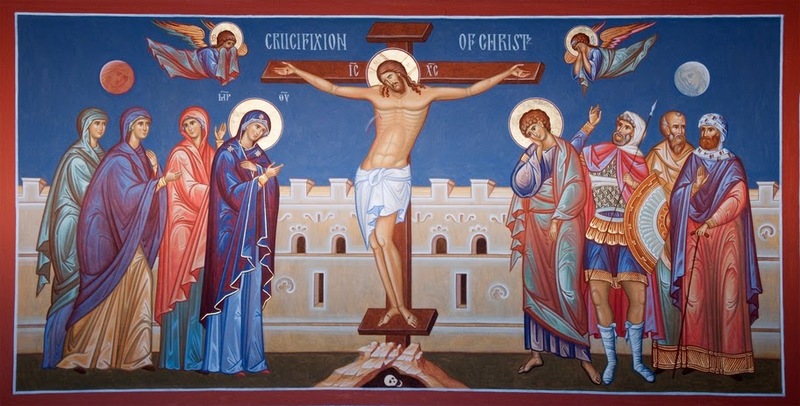 He also defines discipleship as being crucified with Christ: “if anyone would come after me, let him deny himself and take up his cross daily and follow me” (Lk 9:23). Paul, in his letter to the Romans, says that suffering “with Christ” is a condition for final salvation (Rom 8:17). Paul even says that he rejoices in his sufferings, as they fill “up what is lacking in Christ’s afflictions for the sake of his body, that is, the church” (Col 1:24). It would seem that persecution and martyrdom is an anticipated and even necessary experience for the church. Why? The church is the body of Jesus, growing into him through death and resurrection. In other words, the church suffers in and with Christ, as his body. This is her historic destiny. More than that though, the NT also points to a final suffering, a final “dying-with-Christ”, if you will, where the church suffers in a more complete and eschatological sense. In Thessalonians, for instance, we find Paul teaching that persecution, although normal and expected (“mystery of godlessness… at work now“, 2 Thess 2:7), will grow to a climax at the appearance of a final “lawless one” (2:8, antichrist) whom Jesus himself will destroy. Revelation, of course, envisions a final persecution which will only end with the appearance of Jesus and glorification (Rev 19-20). What Balthasar suggests is that the church, as the body of Jesus, is meant to experience Jesus’ sufferings. This is the destiny of the church: to be conformed into Christ. This experience of the church, this dying-with-Christ, is expressed in history, culminating in a final death and resurrection, after which she will be completed in glory. This is Balthasar’s eschatological center: the church as suffering with Christ. I believe that Balthasar truly has something here. The church as the body of Christ, suffers as Christ in history. And this history centers around that suffering, in which we shall die with Christ, and finally be raised (in the actual eschatological sense of the world!) with him.